On February 12, we announced that in 2019, after over a decade with the organization, CalSAC will bid farewell to Ruth Obel-Jorgensen, and will begin the transition and search process for our next executive director. Read the announcement from the board of directors here and Ruth’s statement here. At CalSAC, we believe, and have seen, that strong communities are forged through seizing opportunities, overcoming great challenges, and celebrating accomplishments together. Our board and staff are ready for the opportunity ahead and are wholeheartedly committed to continuing the legacy of this organization and these great leaders. 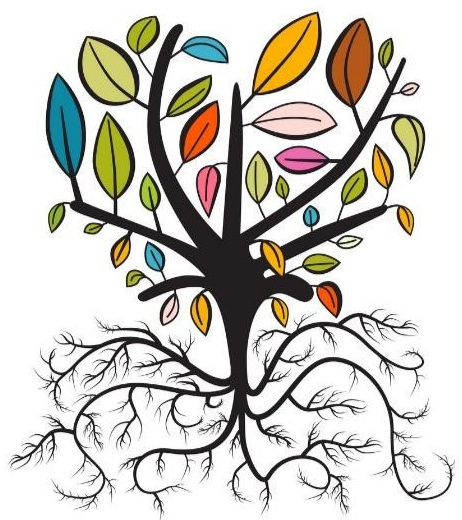 While we may be changing our leaves, our roots are strong and our commitment unwavering. We look forward to having your support along the journey ahead and invite you to join us as we enter the next historic and bold venture! If you have any questions, prospective candidates, or visions for the future of CalSAC, please don’t hesitate to contact Femi Vance, CalSAC Board President at president@calsac.org. The transition plan is the culmination of an expansive literature review, informant interviews, and consultation with Amari Romero-Thomas, an expert in executive transitions. It has been vetted by the full board and staff and we believe it reflects our best thinking as well as the values, personality, and culture of CalSAC. Here, we introduce you to our leadership team, share the timeline for the executive transition, and tell you how to stay engaged with us throughout this process. The Transition Team has been charged by the CalSAC Board of Directors with developing the job description and announcement, designing the interview protocol and questions, vetting applicants, conducting interviews, and recommending the top two candidates to the board. Our vast network of trainers, fellows, advocates, donors and partners will have an opportunity to inform the process by participating in a stakeholder survey. The CalSAC staff will continue to support the process through participation in a survey and by interviewing the final two candidates. The board of directors will conduct final interviews and utilize the recommendations of the Transition Team and staff to make their hiring decision. With best practices in mind, we organized the transition process into three phases. Prepare - In July 2018, Ruth initiated a conversation with Femi Vance, CalSAC Board President, and Esther Rosario, CalSAC recent past president, to begin transition planning and a 3-month discovery phase. By December the board had developed a plan, hired a consultant, and selected the transition search committee. Pivot - Board and staff gathered in February at our annual retreat in Santa Cruz to collectively inform and advance the executive transition, and on February 12, 2019, we shared the news by email with the full CalSAC community. In April, the job announcement, informed by staff and stakeholder input, will be release and we will embark on an aggressive candidate search. Interviews will begin in the summer and the top two candidates will be interviewed by the staff and by the full board of directors. If a clear candidate does not emerge by August, the process will continue until a hire is made. Thrive - Ruth will take a sabbatical in the summer and return to support the onboarding of the new executive director, along with Amari who will provide coaching and technical assistance. Celebrations will be held throughout the year to honor Ruth and welcome the new executive director. There are several ways you can stay informed about the process, support us with finding the next executive director, and celebrate with us! Participate in our stakeholder survey - This survey is designed to gather insight from the field about the future of CalSAC and our next executive director. The survey will be open until midnight on Monday, March 25th. View the invite to participate here. Sign-up for our newsletter to ensure you receive the monthly updates, which will include the job announcement and other transition related updates. Contact us - If you have any questions, prospective candidates, or visions for the future of CalSAC, please don’t hesitate to contact Femi Vance, CalSAC Board President, at president@calsac.org.